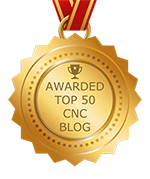 CNC Machining is the acronym for Computer Numerical Control, which is a type of automated milling process used to manufacture various components for industrial purposes. One of the key benefits is that the work is performed without any human assistance. With this, coded instructions are sent to an internal computer. From there parts are fabricated to precision and in a quick manner. The outcome depends on the CNC machining involved since there a different types to include plasma cutters and drills. Typically, this form of machine is used for manufacturing purposes but there are some designed specifically for personal home use. While the list of CNC machining options are varied, those most commonly used include grinders, milling machines, and lathes. Grinders are designed with a spinning wheel capable of grinding down different kinds of materials. However, grinders are also used to mold plastic and metal into preferred shapes. These machines can be programmed with ease, making them ideal for projects where precision cuts are not required. Milling machines have a cutting spindle that cuts metal among other materials. According to instructions dictated by the computer, this kind of CNC machining has the ability to change positions and cut at unique depths. The other common machine is the lathe, which shapes materials by spinning. Usually, lathes are used to make cuts in cylinders and cones, as well as other symmetrical pieces of material. Another option for CNC machining is CNC routers. As with milling machines, routers cut different types of materials but they are also designed to make turret punches that create holes in plastic and metal, and computer programmable 3D printers. What makes CNC routers special is that they work in conjunction with other cutters such as those that work with plasma, water, and lasers. Regardless of the CNC machining being performed, a code is used for programming. Usually, this is known as “G Code”, which consists of information pertaining to where machine parts need to be positioned. However, the G Code also informs the machine where the tool needs to be placed. The computer provides machines with other information, to include the appropriate operational speed, the depth of the punch, cut, or burn, tool angle, and more.